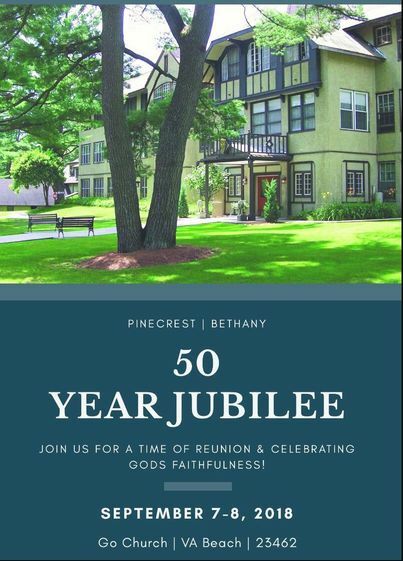 Join us for Bethany's 50th Year Jubilee Celebration- Honoring the Past, Equipping for the Present, Envisioning for the Future. Come and join us for a weekend of worship, testimonies, fellowship, and messages from guest alumni speakers, as Bethany celebrates 50 years of ministry! We're looking forward to seeing you all in September!! Please be sure to RSVP below to help us have an idea of how many people are attending. 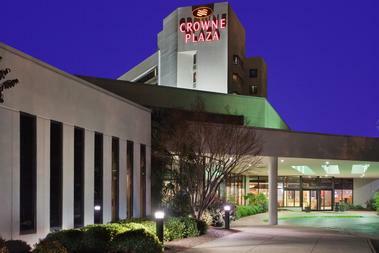 Guests for the Pinecrest-Bethany Reunion can stay at the Crowne Plaza Virginia Beach Town Center located just 5 minutes from our meeting space. September 7th & 8th with checkout on Sunday the 9th (tax not included). Please note that in order to receive this group discount, your reservation MUST BE MADE by AUGUST 6th, 2018. After the cut-off date, additional reservations will be taken at the prevailing rate.